When Yoshino visits his friend’s family grave, he is suddenly confronted by an armed woman who wants to know the whereabouts of his friend. His friend Mahiro left a month ago in a vain attempt to investigate the triple murder incident his parents and sister fell victim to. Since then he was seen at various locations that are now under quarantine. His sudden reappearance here is as unexpected as the magical powers he uses to save Yoshino. Mahiro’s powers are borrowed from talismans that belong to a trapped sorceress princess he made contact with through the help of a wooden doll. In exchange for his help she promised to use magic to solve the triple murder case Mahiro is so obsessed with. She claims the quarantine is due an epidemic curse that turns living things into metal, which is a side effect of the Kusaribe clan’s plan to revive the Tree of Zetsuen and the reason they trapped her. Yoshino decides to help them, but has his own reasons for doing so. Zetsuen no Tempest is based on a manga of the same name. It is the dark and mysterious story of two friends who try to reveal secrets that are beyond their understanding. Many open questions and interesting and credible character designs leave viewers hooked to this original story line. The brilliant animation quality underlines its role as an adequate and noteworthy adaptation. Hyoudou Issei is your usual hormone-driven high school boy. When asked out by a beautiful girl from his school, he quickly accepts without second thoughts. However this girl turns out to be a sadistic fallen angel, who proceeds to killing Issei on the night of their first date. 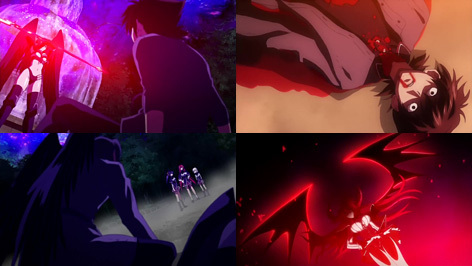 Laying in his own blood with deep regrets Rias Gremory appears and ressurects him as a demon serving as her pawn. She is from a high ranking family of demons and the head of his school’s Occult Research Club. In his new life he helps people who try to call forth demons and assists in Rias’ quarrels with other demons and fallen angels. 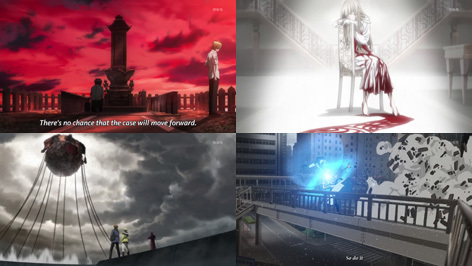 Being based on a series of light novels, there certainly is an unfolding story line that is interesting to follow, yet not too original or breathtaking to be praiseworthy. After all High School DxD’s main selling point seems to be the hilarious comedy and the extensive fan service. Still, the annoucmet of a second season proves its success among viewers, so fans of this genre should defenitly risk a glimpse. Yukiteru is a silent boy who doesn’t take part in any of his classmate’s activities and doesn’t have any friends at all. The only two things that bring him joy in life is writing banal notes about his surroundings into his cell phone diary and talking to his imaginary friend Deus Ex Machina. As it turns out Deus Ex Machina is in fact very real and Yukiteru is drawn into a secret survival game, where each contestant is given a cell phone diary that contains notes about the future, yet each according to different rules. 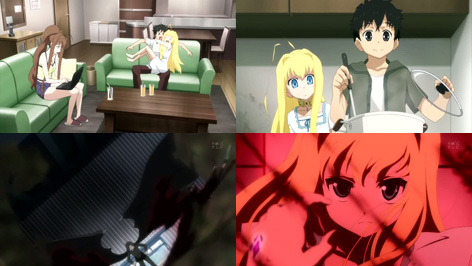 Armed with his Future Diary Yukiteru has a hard time surviving the numerous attacks of the other contestants. To his Luck the contestant Yuno, who had a secret crush on him, uses her strength to protect him and defeat his enemies. 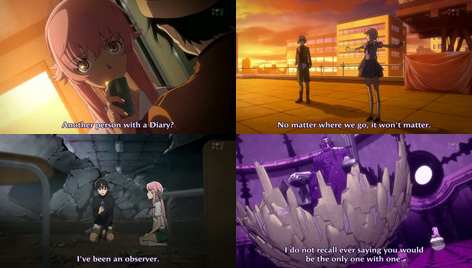 Mirai Nikki is based on a manga of the same name. 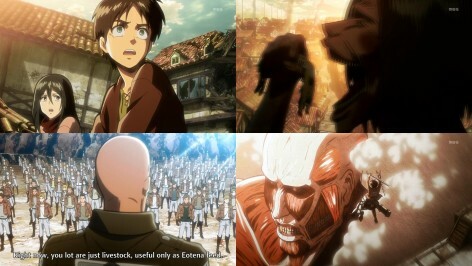 The good animation quality and the absence of censored blood or violence make it into an adequate adaptation of an original story. Fans of thrilling mystery animes like Death Note, should also give this one a try. When Ryuuji was a child he saw a girl hatch from a giant egg in the mountains, but told himself that it must have been a dream. 10 years later he meets her again as he saves her from black market dealers. From that day on she becomes attached to him and follows him around everywhere. Later he finds out that she is a young dragon that has supernatural powers. However, there are other dragons as well, who try to take her away from him. Dragon Crisis is based on a Japanese light novel series of the same name. 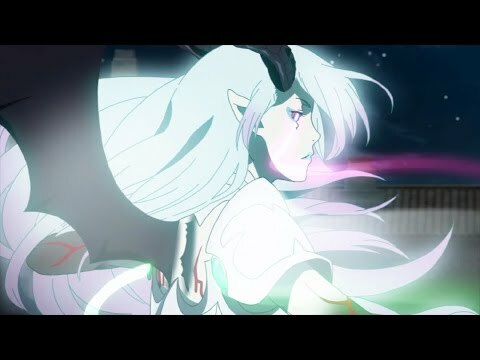 It’s the story of a boy deserted by his own parents and now forced to act a parent for a dragon girl who can’t even talk yet. The story takes place in contemporary Japan, but with the existence of magic and supernatural powers. Ryuuji seems to be a very skillful user of a certain ability that isn’t further explained at this point. 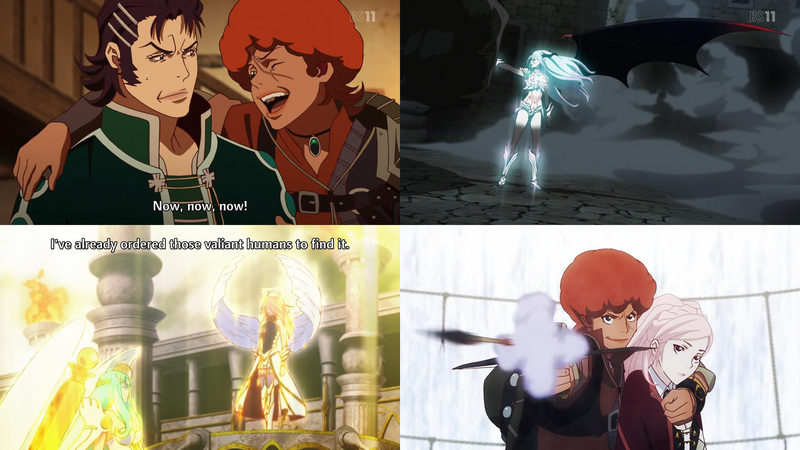 The animation quality and special effects are very well done, especially during fights. All in all it seems to be a decent fantasy novel adaptation with interesting settings. Sadly as the story progresses it becomes exceedingly weak and repetitive. Review: Minato is very disappointed to have failed the college entrance exams twice, but his failure life style is about to change as he meets Musubi, a mysterious girl who is suddenly attacked by two other girls using weird lightning powers. Minato decides to help her and finds out that she is a sekirei and part of the sekirei plan, an unknown operation planned out by the MBI Corporation which controls this whole city. There are 108 sekireis and Minato seems to possess the Ashikabi gene to become a master of sekireis and awaken their powers to the fullest. Musubi now is his first sekirei, but being a peaceful guy he cannot understand why sekireis have to fight each other. What will he do? 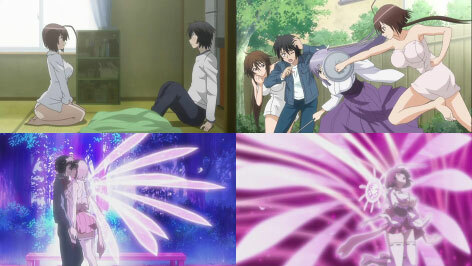 Sekirei is a harem fanservice comedy action spectacle with a plot that isn’t too shabby for this kind of genre. Being a big fan of the Sekirei manga I had my doubts whether this anime will live up to my expectations. But unlike many other recent manga adaptations, this time they did a pretty decent job. 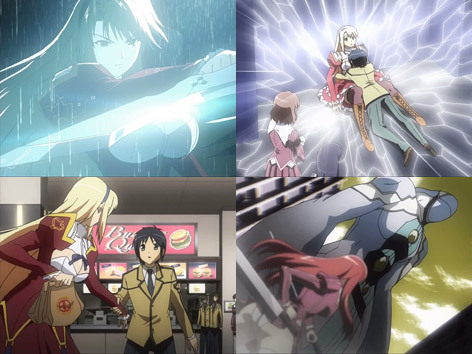 Animation and script are of a quality adequate for telling the sekirei story. However, those who read the manga will certainly find a few things that are missing or are not presented adequately, to say the least.